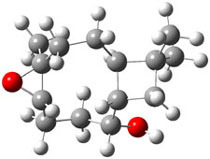 Jorgensen reports an enhanced QM/MM and ab initio study of the rate enhancement of Diels-Alder reactions in various solvents.1 This study extends earlier studies that he and others have done, many of which are discussed in Chapter 6.2 of the book. In this study, he reports QM/MM computations using the PDDG/PM3 method for the QM component, and MP2 computations incorporating CPCM to account for bulk solvent effects. The major advance in methodology in this paper is performing a two-dimensional potential of mean force analysis where these two dimensions correspond to the forming C-C distances. 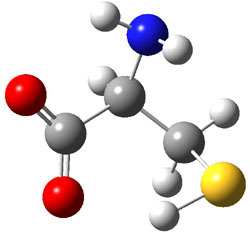 In addition, computations were done for water, methanol, acetonitrile and hexane as solvents. Highlights of the results are listed in Table 1. Table 1. Computed bond asynchronicitya and activation energyb (kcal/mol) for the Diels-Alder reaction with cyclopentadiene. 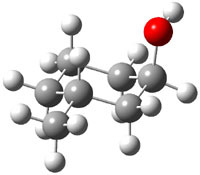 aDifference in the lengths of the forming C-C bonds, in Å. bExperimental values in parantheses. The semi-empirical method underestimates the asynchronicity of these gas-phase Diels-Alder TSs. However, with inclusion of the solvent, the computations do indicate a growing asynchronicity with solvent polarity, This is associated with the ability of the solvent, especially protic solvents, to preferentially hydrogen bond to the carbonyl in the TS. In terms of energetics, in must first be pointed out that the computations dramatically overestimate the activation barriers. However, the relative trends are reproduced: the barrier increases from water to methanol to acetonitrile to hexane. Jorgensen also computed the activation barriers at MP2/6-311+G(2d,p) with CPCM using the CBS=QB3 gas phase geometries. Some of these results are listed in Table 2. The results for water are in outstanding agreement with experiment. However, the results for the other solvents are poor, underestimating the increase in barrier in moving to the more polar solvent. Table 2. MP2/6-311+G(2d,p)/CPCM values for ΔG‡ (kcal/mol). Bottom line, the conclusions of this study are in agreement with the earlier studies, namely that the hydrophobic effect (better may be the enforced hydrophobic interaction) and greater hydrogen bonding in the TS (both more and stronger hydrogen bonds) account for the rate acceleration of the Diels-Alder reaction in water. (1) Acevedo, O.; Jorgensen, W. L., "Understanding Rate Accelerations for Diels-Alder Reactions in Solution Using Enhanced QM/MM Methodology," J. Chem. Theory Comput. 2007, 3, 1412-1419, DOI: 10.1021/ct700078b. A couple of additional papers have pointed out systematic problems with using DFT and offer guidelines for methods that provide accurate results. These complement my previous posts on the subject Problems with DFT and Problems with DFT – an Update. Grimme1 takes the approach of benchmarking methods and basis sets using isomerization energies, examples of which are shown in Scheme 1. Computed isomerization reaction energies are compared against experimental values or, in a few cases, against extrapolated CCSD(T) energies using cc-pVXZ (X=D-T or X=T-Q). This extrapolation technique2 is a way to estimate the complete basis set energy. In terms of basis set, the error systematically decreases with increasing size of the basis set when the SCS-MP2 method is used to compute the energies. Surprisingly, the error is essentially constant for all the basis sets with B3LYP. The root-mean-square deviation and maximum error for the isomerization energies computed with the TZV(2df,2pd) basis set and a variety of different methods are listed in Table 1. Both CCSD(T) and SCS-MP2 provide truly excellent results. Since the later method is much more computationally efficient that the former, Grimme argues that this is really the method of choice for accurate energies. DFT methods vary in their performance, with no discernable trend based on what type of DFT it is (i.e. meta-GGA, hybrid GGA, or hybrid meta-GGA). Of no surprise, based on lots of recent studies (including those blogged about in ), the performance of B3LYP is likely to be problematic. In a related study, Bond3 explores the ability of the composite methods to predict enthalpies and free energies of formation for a set of nearly 300 compounds. Bond makes use of isodesmic and homodesmotic reactions (discussed in Chapter 2). His results for the mean absolute deviations of ΔH are given in Table 2. All of the composite methods (see Chapter 1.2.6) provide quite acceptable results. Once again, B3LYP is shown to be incapable of predicting accurate energies. (1) Grimme, S.; Steinmetz, M.; Korth, M., "How to Compute Isomerization Energies of Organic Molecules with Quantum Chemical Methods," J. Org. 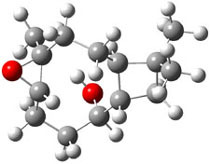 Chem., 2007, 72, 2118-2126, DOI: 10.1021/jo062446p. The old EMSL Gaussian Basis Set Order Form (http://www.emsl.pnl.gov/forms/basisform.html) has now been updated to include a very nice interface. The new service is called Basis Set Exchange and is available at https://bse.pnl.gov/bse/portal. (1) Schuchardt, K. L.; Didier, B. T.; Elsethagen, T.; Sun, L.; Gurumoorthi, V.; Chase, J.; Li, J.; Windus, T. L., “Basis Set Exchange: A Community Database for Computational Sciences,” J. Chem. Inf. Model 2007, 47, 1045-1052, DOI: 10.1021/ci600510j. 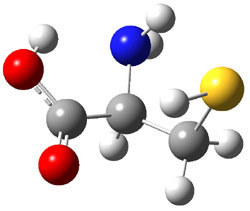 In section 4.4 of the book, I discuss in great detail the computational (and some experimental) studies of the benzynes, the formal diradicals created by loss of two hydrogen atoms from benzene. 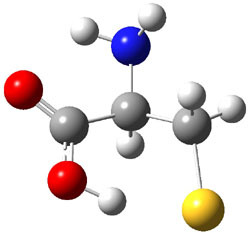 Now comes a very nice experimental study on a molecule that takes the next step: 1,3,5-tridehydrobenzene 1, benzene that lacks three hydrogen atoms. 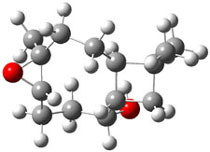 Sander reports the preparation and characterization of trifluoro-1,3,5-tridehydrobenzene 2.1 The characterization of this novel molecule is made through comparison with computed IR spectra. and then trapping the products in a low temperature matrix. Sander identifies five IR peaks of a product he believes is 2. These IR frequencies are listed in Table 1. Table 1. Experimental and computeda IR frequencies (cm-1) and relative intensities of 2. In order to confirm that this IR spectra comes from 2, Sander computed the structure and IR frequencies of both 1 and 2. 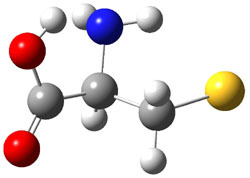 The 2A1 structure of 1 had been studied previously2, but what had gone unnoticed is that another structure is possible, the 2B2 state. These two states differ in the separation between C1 and C3. When the distance is short, the SOMO is of a1 symmetry and this orbital has bonding character between these two carbon centers, giving rise to the 2A1 state (1a). As the distance gets longer between C1 and C3, a b2 orbital, having antibonding character between C1and C3, becomes lower in energy than the a1 orbital, so that the structure is 2B2 (1b). The UBLYP/cc-pVTZ optimized structures are shown in Figure 1. 1a is 2-3 kcal mol-1 lower in energy than 1b. Furthermore, 1b has one imaginary frequency and is not a local energy minimum. 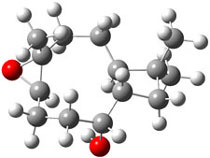 Sander also optimized the structures of 2a and 2b¸ finding little effect due to the fluorine substitution. Figure 1. UBLYP/cc-pVTZ optimized structures of 1a (2A1) and 1b (2B1). The computed IR frequencies are listed in Table 1. The computed frequencies (and their relative intensities) of 2a match up strikingly well with those of the experiment. Sander concludes that 2a has in fact been prepared and characterized. 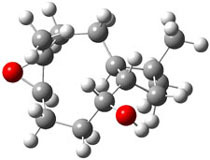 (2) Cristian, A. M. C.; Shao, Y.; Krylov, A. I., "Bonding Patterns in Benzene Triradicals from Structural, Spectroscopic, and Thermochemical Perspectives," J. Phys. Chem. A 2004, 108, 6581-6588, DOI: 10.1021/jp049007j. Here’s one more nice application of computationally-derived NMR chemical shifts towards solving a structure. Fattarusso and co-workers1 identified a component of wormwood called artarborol. 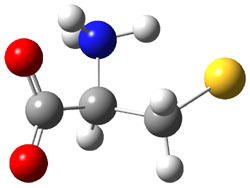 COSY and ROESY experiments allowed for deducing four possible diasereomeric structures of artarborol, 1-4. They then took two computational approaches towards resolving the structure. First, they performed an MM search for low energy conformers of 1-4. These conformers were then screened for those having a dihedral angle of around 90° for the C-8 and C-9 protons, due to a low couple constant for between these protons. Only conformers of 1 and 3 satisfied this criterion. An intense couple of the H-1 and H-5 protons indicated a transannular arrangement, and only conformers of 1 satisfy this criterion. 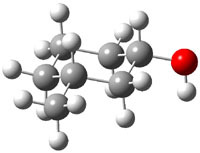 The second computational approach was to optimize some of the low energy conformers of 1 and 3 at mPW1PW91/6-31G(d,p) and compute their 13C chemical shifts. The five low energy conformers, two of 1 and three of 3, are shown in Figure 1. The resulting chemical shifts were averaged according to a Boltzmann distribution. These computed chemical shifts were then fit against the experimental values. The correlation factor for the computed shifts for 1 (r2=0.9997) was much better than that of 3 (r2=0.9713). The average deviation of the chemical shifts (after being corrected using the fitting procedure from the above correlation) was only 0.8ppm for 1 but 2ppm for 3. They therefore conclude that the structure of artarborol is 1. (1) Fattorusso, C.; Stendardo, E.; Appendino, G.; Fattorusso, E.; Luciano, P.; Romano, A.; Taglialatela-Scafati, O., "Artarborol, a nor-Caryophyllane Sesquiterpene Alcohol from Artemisia arborescens. 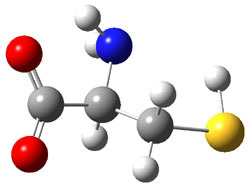 Stereostructure Assignment through Concurrence of NMR Data and Computational Analysis," Org. Lett., 2007, 9, 2377-2380, DOI: 10.1021/ol070803s. 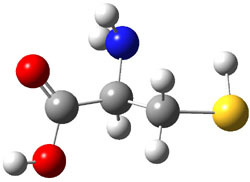 (2) I thank Professor Ernesto Fattorusso for supplying me with the optimized coordinates of these compounds. where X is chloride or hydroxide. In all cases the only critical point located on the potential energy surface is for a tetracoordinate intermediate. Shown in Figure 1 are the intermediates for the reaction OH– + PH2OH and Cl– + PCl3. This result is consistent with the studies of nucleophilic substitution at sulfur and silicon. and (b) Cl– + PCl3. I just ran across a nice summary article by Peter Schreiner1 detailing the recent spate of articles describing problems with many DFT methods, especially the ubiquitous B3LYP functional. This article covers essentially the same ground as my previous post Problems with DFT. (1)	Schreiner, P. R., “Relative Energy Computations with Approximate Density Functional Theory – A Caveat!,” Angew. Chem. Int. Ed., 2007, 46, 4217-4219, DOI: 10.1002/anie.200700386.